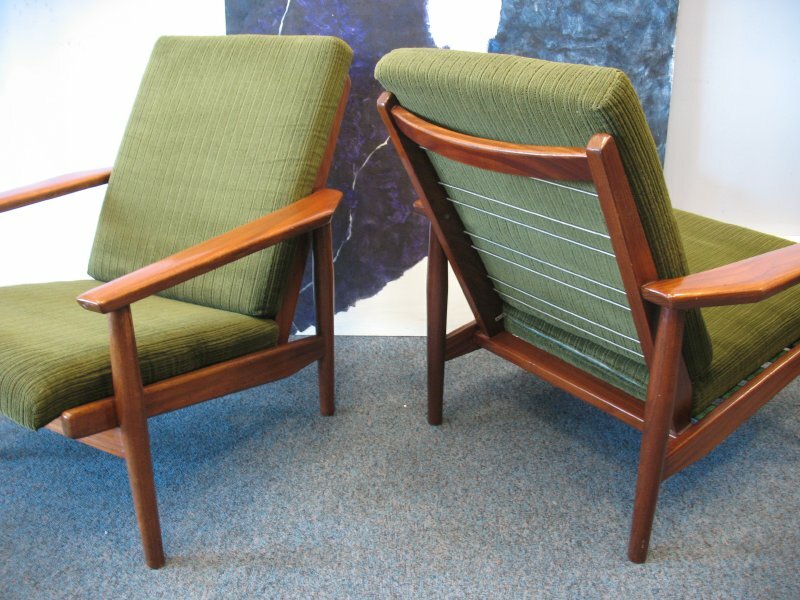 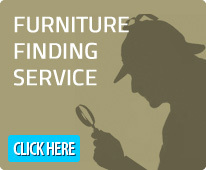 In the style of the great Danish designers, Juhl, Grete Jalk and Wegner. 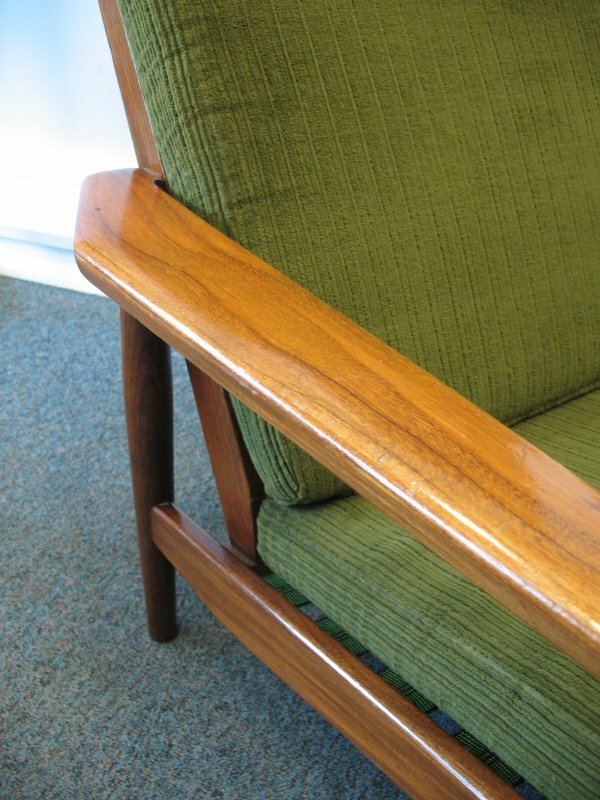 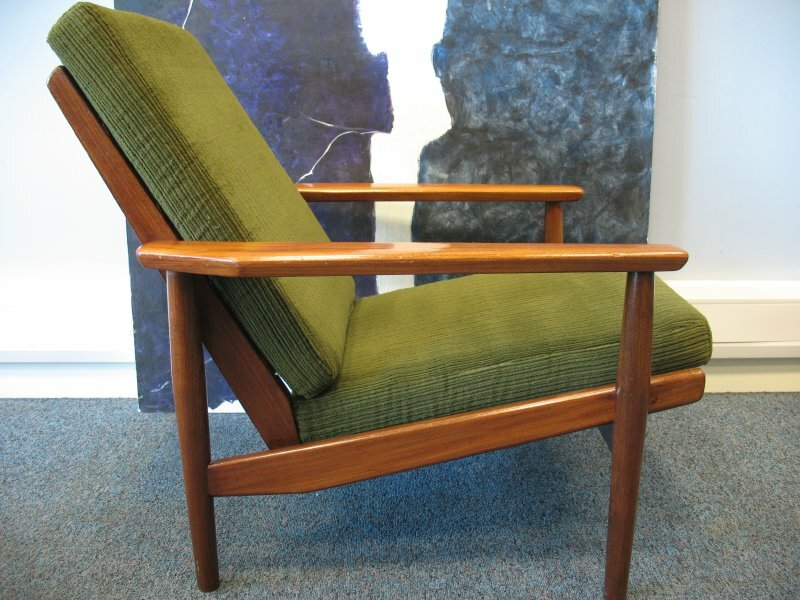 This classic Danish teak chair is an antique of the future and would look amazing in any home, modern to decorative. 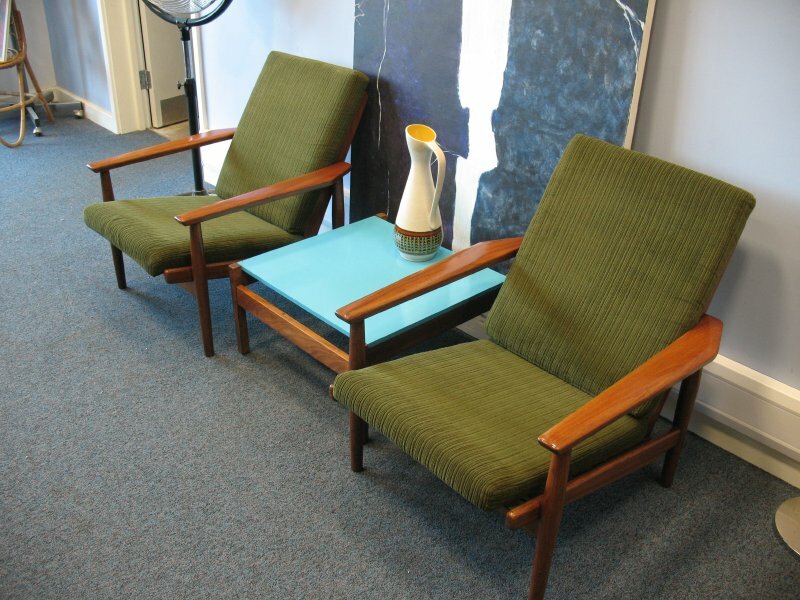 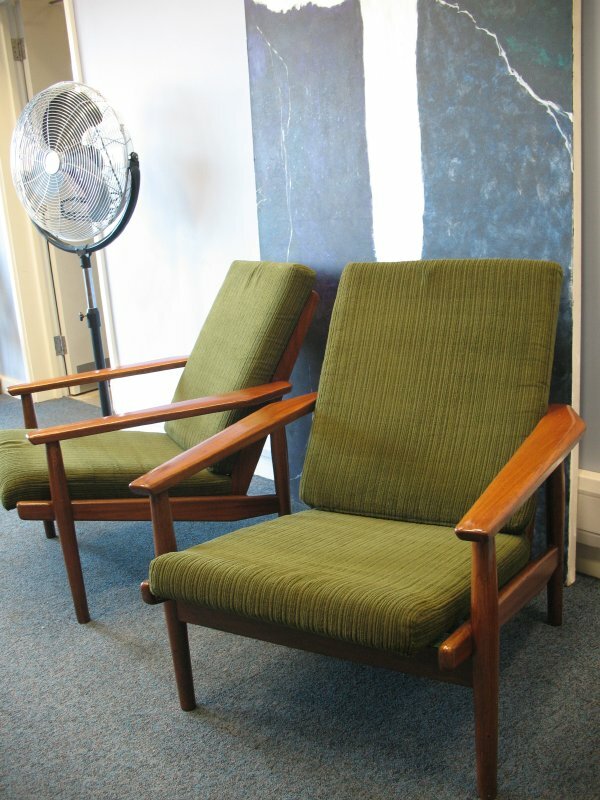 The cusions are covered in super retro green fabric which is in mint condition, We currently have two chairs available!